Coffee Real Estate’s Fresh Start program is all about making a home. Regardless of the problems, finding a solution that works for you is our Fresh Start program. We have solutions if you are struggling with your current mortgage payments, behind on your mortgage, experienced a foreclosure, bankruptcy or short sale. If you received a Notice of Default (NoD), our Fresh Start program can help. We have solutions if your current house does not meet your needs. If you need another bedroom or bath, if you need full access home or an in-law suite Coffee Real Estate’s Fresh Start Program can help. 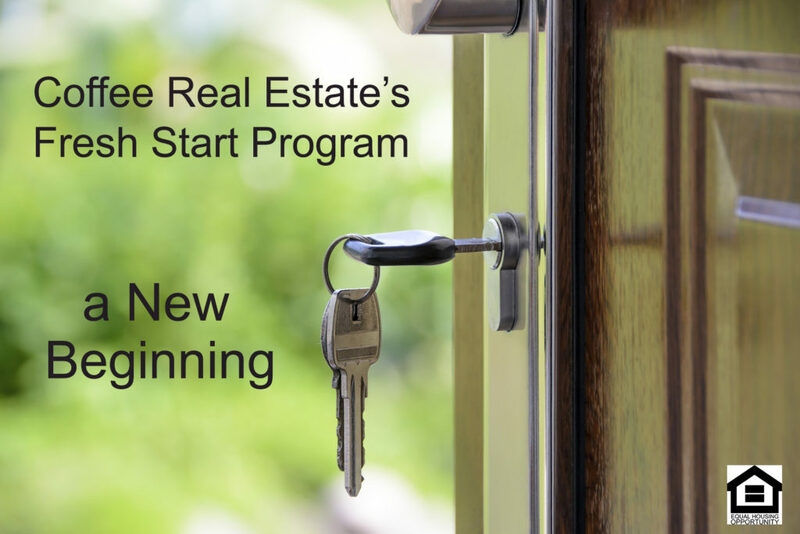 Coffee Real Estate’s Fresh Start program is a personalized home solution. We will present a wide range of solutions. Sometimes Coffee Real Estate will take the lead in resolving your home need. Other times we will point the way to other companies or government programs. 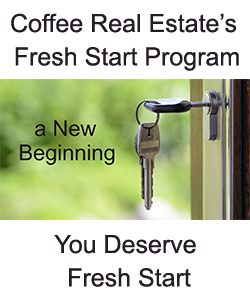 Coffee Real Estate’s Fresh Start program is all about what is best for you. The first step is the hardest sometimes.